The term ‘biohacking’ has come to prominence over the past year, but how many people actually know what it means? 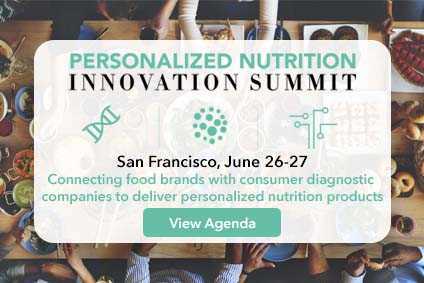 Ahead of the 3rd Annual Personalized Nutrition Innovation Summit, we investigated this growing obsession, to define what it means, why we need to care, and who we need to know. What do you need to know about biohacking? What does the biohacking scene mean for you? Biohacking communities are on the hunt for the tools to help improve health. Whilst Silicon Valley paved the way for the new trend, health and wellness ambassadors are championing this craze globally. If you’re producing supplements, offering personalized testing solutions, or building wearable technology - biohackers around the world could be advocating your solutions as we speak. Who do we need to know about? With previous roles at Apple and Microsoft, and a degree from Stanford University, Richard Sprague has many achievements to shout about - but biohacking is top of the priority list for this technology executive. Richard, a well-known name in the biohacking community with a large online following, has spent five years dedicated to discovering and defining his gut microbiota through rigorous self-testing in order to work out how he can cultivate a healthy gut. From Ubiome kits to 23andMe tests, Richard's endeavours are a shining example of the movement towards a quantified self. Personalized nutrition is more than a ‘trend to watch’, it is a solution to have. As biohacking communities grow, we welcome biohackers from across the US to the Personalized Nutrition Innovation Summit, and we are pleased to announce that Richard Sprague will be joining us to discuss the importance of biohacking and communicating these solutions effectively. You can learn more about Richard Sprague’s involvement in the Summit by downloading our agenda here. We’ll be keeping you updated on Richard’s experiment.